A deer disease is hitting Peoria and Fulton counties harder than anywhere else in Illinois. The Illinois Department of Natural Resources & WEEK-TV said it has received 432 reports of Epizootic Hemorrhagic Disease (EHD) this year. Seventy-seven of the reports were in Peoria County, and 71 were in Fulton County. The outbreak is largely concentrated along the Illinois River, stretching from Bureau County in the northeast to Schuyler County in the southwest. 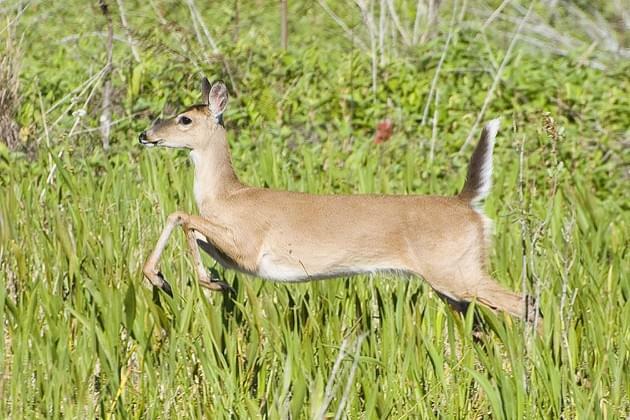 EHD is a viral disease affecting white-tailed deer. Infected deer develop a high fever, and are often found dead near water sources. Hunters, landowners and concerned citizens are asked to report any suspected cases of EHD to the IDNR at 815-369-2414 or by email at doug.dufford@illinois.gov. EHD is not dangerous to humans or pets, but can affect livestock.